FORMER Midlands Provincial Affairs Minister Jason Machaya, who has been in remand prison since Christmas Eve and tasted freedom for only 10 minutes last Thursday before being rearrested on fresh charges while leaving hospital, appeared in court yesterday. He appeared before Gweru magistrate Ms Mildred Matuvi, charged with criminal abuse of office, and was remanded in custody to tomorrow. This came as ex-Cabinet ministers Samuel Undenge and Walter Mzembi, who were arrested last Friday for criminal abuse of office, were yesterday released on US$300 and US$400 bail, respectively. They were remanded to January 22. Machaya is accused of unlawfully allocating 17 799 residential stands to developers. It is alleged he received 1 791 commonage stands from the developers; disposed of 1185 of them and allocated 192 others to the Apostolic Christian Church of Zimbabwe. Only the Local Government, Public Works and National Housing Minister is responsible for allocating such stands. Machaya’s lawyer, Mr Ambrose Dururu, applied for the case to be dismissed before trial and to prove that his client had legal authority to allocate the land in question. He also wanted Machaya removed from remand. Magistrate Matuvi deferred judgment to tomorrow. Undenge is accused of prejudicing Zimbabwe Power Company of US$12 650 while Mzembi is said to have unlawfully disposed of 16 Public Viewing Area television screens worth US$800 000 that belonged to Government. The two were represented by lawyers Messrs Alec Muchadehama and Job Sikhala. Harare magistrate Mr Elisha Singano said the State had not opposed their application and that bail was a constitutional right. Mr Singano ordered them to surrender their passports, reside at their given addresses, report to police every Friday and not to interfere with witnesses. It is alleged that on January 14, 2016, Undenge, a former Energy Minister, abused his office by directing ZPC to hire Fruitful Communications to promote Zim-Asset-based power projects without going to tender. Fruitful Communications then allegedly invoiced US$12 650 to ZPC and were paid but did not get any work done. The State says Undenge favoured the communications firm contrary to his duties as a public officer. 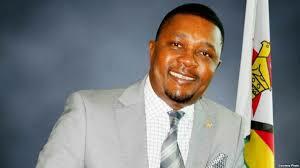 On former Tourism Minister Mzembi, the State has it that the Tourism and Hospitality Industry Ministry obtained US$2 million from Treasury to purchase 40 LED PVA screens in 2010. The money was paid to suppliers Shanghai Linso Digital Technology Company, and the screens were recorded in the ministry’s asset register upon delivery. Mzembi allegedly abused his office criminally by intentionally disposing of 16 screens via donations and loaning or hiring them out to various institutions without Treasury’s approval. Graft is among the factors weighing down Zimbabwe’s economy, and the State has embarked on an anti-corruption blitz that has netted high-profile characters such as former Government ministers Ignatius Chombo, Jason Machaya, Walter Chidhakwa, Joseph Made and Makhosini Hlongwane. Chombo allegedly connived with Psychology Chiwanga, R. Pazvakavambwa, Iben Fransisco, James Chiyangwa, Elias Choto and L. Chimimba to forge documents to transfer a Glen Lorne, Harare, property from the Harare City Council to one Alois Chimeri. He allegedly committed the offence during his stint as Local Government, Public Works and National Housing Minister. Chombo is also accused of using his influence as Local Government Minister to arm-twist the Harare City Council to allocate him residential stand No. 61 Helensvale, Harare, which measures 193 716 square metres. It is alleged he developed cluster houses on the land. Initially, the City of Harare had asked Chombo to use the land for recreational purposes, but he allegedly took the land for himself through Harvest-Net Enterprises, a company he co-directed then. Chombo is out of custody on bail, and has applied for relaxation of his bail conditions. Chidhakwa was charged with abuse of office after reportedly appointing former permanent secretary in his ministry, Professor Francis Gudyanga, as a lone board member at the Minerals Marketing Corporation of Zimbabwe. This allegedly prejudiced MMCZ of US$28 910 which Prof Gudyanga allegedly received as sitting fees when no board was in existence.